When it comes to buying a home, there are usually several aspects that a potential buyer should consider before finalizing the purchase of a new home. The location of the home is usually a big selling point, in addition to the potential resale value and the overall look of the home. In addition, it is not uncommon for a buyer to present a list of negotiable and non-negotiable features of a home. Does the size of the master bathroom meet your particular needs? Is the master bathroom new? When was the last time it was updated? Check the cabinets below the sink and any other storage areas to ensure an adequate amount of storage space. Is there a linen closet available elsewhere in the home, if adequate space is not provided? What type of flooring does it offer? Is it tile? What about stone? Is the floor heated? Inspect the lighting and make certain that it provides adequate illumination. What type of sink does it offer? A double-sink is more desirable, especially for couples. What, if any, windows are available? Does the window provide a view of Steamboat Springs? What kind of technology is available within the master bathroom? Does the shower have digital controls? Can the lighting be personalized through phone apps? Inspect the fixtures such as shower head and sink. Do they need to be upgraded? Do the aesthetics match what you had envisioned? Is the look something you would be ok with seeing for the next 5, 10 or 20 years? Is the toilet large enough and comfortable enough to meet your needs? Discuss the water usage rate for that particular home, and if the faucets pare the flow without changing the bathing or washing experience. Does the master bathroom include features like a dual showerhead? Does it come with a separate shower and bath combination? Does it have a soaker tub with jets? With this quick checklist in mind, it should make it a lot easier to determine if the master bathroom will meet your needs. In general, men and women who are 35 and older tend to be the targeted demographic for master bathrooms. A personalized and very functional master bathroom remains a high priority for home buyers. Since Steamboat Springs is a world-class skiing town, it makes sense to determine if a bathtub is available, and if it would be able to handle deep-soaking. Skiing and snowboarding takes quite a bit out of one’s body, and being able to soak tired muscle at the end of the day can provide great health benefits and alleviate certain pains and soreness. This is a great point to consider since those who are looking for homes in Steamboat will likely have a different mindset than traditional homebuyers. 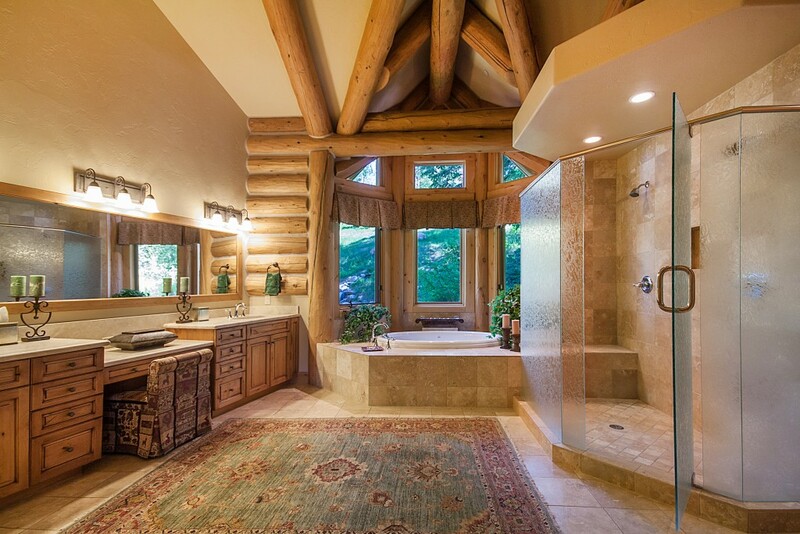 The master bathroom is always a fantastic selling point, but it especially carries weight for those looking to purchase a home in Steamboat Springs, CO. Buyers may use their home to entertain guests, or even rent their home during the heavily-visited months of the year. It is important to take into account the specific needs for living in Steamboat Springs, and what is on your list of negotiables and non-negotiables for purchasing a home in Steamboat. With this checklist for a master bathroom in mind, searching for and purchasing real estate in Steamboat Springs will be that much easier.